3 Bedroom Semi Detached House For Sale in Warrington for Asking Price £175,000. An truly immaculate home that is a credit to the current owner who has renovated the entire property over the past three years and enjoys a long sweeping driveway providing off-road parking for many cars. 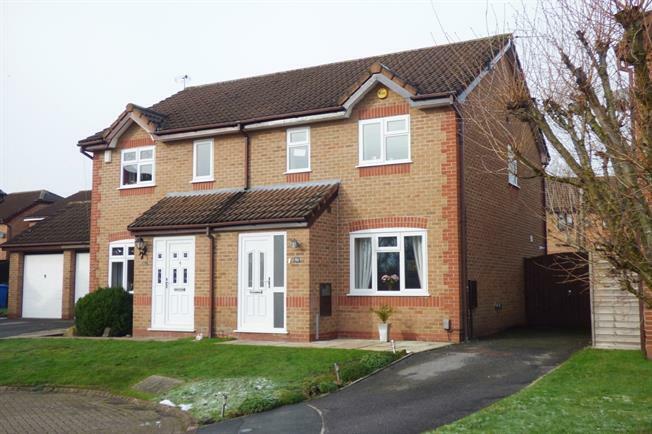 Positioned in this quiet attractive cul-de-sac of similar homes and being central to both Penketh and Sankey High schools this great home has great appeal for the family market and must be viewed to be appreciated. Boasting a brand new high gloss fitted kitchen suite and with room for a large dining table and chairs overlooking the landscaped rear garden. All the walls and floor coverings have been replaced and are presented to a wonderful standard including all the first floor accommodation. A modern shower room has been installed with high gloss splashbacks which serves the three modern bedrooms to the first floor. All the uPVC double glazing has been installed again in the last 3 years including the doors to the front and rear with the entrance vestibule providing access to the ground floor cloakroom/WC. Externally there are lawned gardens to the front and rear with plenty off-road parking. The owner is purchasing a new build therefore there will be no onward chain above that purchase and all transactions will need to be completed within a specific timeframe.